In a letter sent to HSE directors, the agency's chief operations officer, Liam Woods, warned that recruitment restrictions will be necessary for the next three months if officials do not tighten their budgets. Mr Woods said the recruitment embargo was based on "financial pressure in the system arising from the high levels of recruitment in 2018 and the consequential impact in 2019 and the need to live within the resources". He added: "Approved development posts will continue to be recruited under existing control arrangements but all other recruitment will pause." Labour Party health spokesperson Alan Kelly said it was "quite unbelievable" that the HSE had been forced to bring in a recruitment embargo and overtime ban. "It is extraordinary that in the same week as the Government and Simon Harris are announcing free dental care and GP care for children that the HSE introduces a recruitment freeze under the radar," Mr Kelly said. The restrictions are to remain in place until the end of June. HSE staff on career breaks will not be allowed to return to work and overtime restrictions will also be in place during this period. The proposed recruitment ban follows last year's massive overruns in health spending which almost derailed the budget for the entire country. The HSE employment freeze will mostly apply to hospital groups and community hospital divisions which do not have "credible plans and associated delivery arrangements" for coming in on budget this year. "No new posts or replacement posts can proceed to offer stage or be put on to the payroll," Mr Woods said. "This will apply until satisfactory financial plans have been received, endorsed centrally and are demonstrating good evidence of traction in respect of that entity. "This includes any posts, whether considered funded or not, already within any local, regional or national recruitment process." 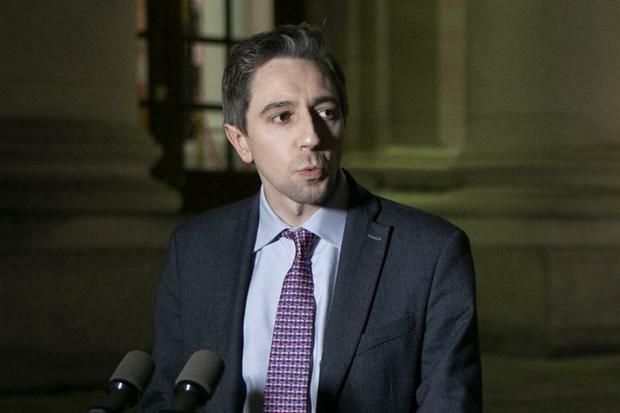 A senior HSE source said the restriction would apply only where there was no clear plan by the hospital group or division to "live within available funding". The recruitment warning comes ahead of HSE chiefs preparing their pay and numbers strategy for 2019. Mr Kelly said the hiring freeze would further impact on waiting lists, the crisis in hospital emergency departments and patient safety. "We keep being told of record budgets for health but there is now a three-month hiring freeze across the HSE. The letter states this is to cope with pressures from 2018. If there isn't enough money for staff in 2019 we need to know from the HSE," he added. It is understood that Health Minister Simon Harris was unaware of the warning sent to HSE directors.